The Test Equipment Connection Repair and Exchange program provides rapid repair or replacement of authorized products with refurbished or new equivalent product. When your test equipment fails, contact us for a repair evaluation. Our objective is to get your test equipment back into operation at a reasonable cost. We will repair your defective test equipment or exchange it with a refurbished or new unit in stock. Test Equipment Connection provides: Spectrum Analyzer Repair, Network Analyzer Repair, Service Monitors Repair, Communication Monitors Repair, Communication Analyzers Repair, Radio Test set Repair, Signal Generator Repair, and Oscilloscope Repair. Test Equipment Connection provides repairs from major manufacturers including Keysight Repair, Agilent Repair, Hewlett Packard Repair, Rohde Schwarz Repair, Aeroflex Repair, IFR Repair, Anritsu Repair, JDSU Repair, Viavi Repair, and Tektronix Repair. Benefits of the Test Equipment Connection Repair and Exchange Program include fast, efficient repair or replacement of returned product resulting in improved test performance. Minimal down time for you reduces costs and improves equipment utilization. We repair thousands of instruments that are no longer supported by the original manufacturer. 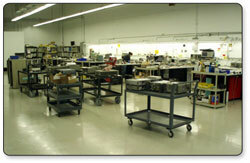 We have an extensive parts inventory assuring prompt turnaround times and competitive prices. Test Equipment Connection offers full service N.I.S.T. traceable calibration with every repair. Our repair technicians have years of experience, many are ex-military, and all have calibration and repair expertise. We provide high quality repair and calibration services at competitive prices with responsive turn around times for evaluation, repair and calibration. N.I.S.T traceable certificates inaccordance with MIL-STD 45662A and ANSI/NCSL 540-1 and the requirements of ANSI/NCSLI Z540.3-2006 can be provided with repairs. In addition, ISO 9001-2000 UL registered calibrations and ISO/IEC 17025 calibrations accredited by A2LA are available for select items. Certificate number 1378.02 from TMI. Test Equipment Connection can provide high quality repair for most brands of test equipment. 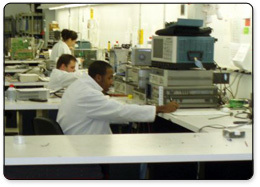 We have experts in the repair of Agilent, Anritsu, Aeroflex, Fluke, Tektronix and hundreds of other brands. Save thousands of dollars repairing or exchanging your test equipment instead of waiting for capital budget funds that may not be available. We offer repair, exchange and calibration of the widest variety of electronic test equipment in the industry. Based on workload and repair and calibration requirements, Test Equipment Connection will sometimes use authorized independent labs to perform repairs and calibration. Proof that calibration was performed in accordance with respected standards such as ANSI/NCSL Z540-1. Just as all calibrations are not equal, not all calibration certificates are equal. To provide benefit a calibration certificate must at a minimum identify the instrument calibrated, provide proof of traceability, identify the environmental conditions that existed during the calibration and show that the calibration conformed to a quality standard. When you purchase NEW test equipment from Test Equipment Connection, in most cases a Calibration Certificate is provided free of charge. When you purchase USED or REFURBISHED test equipment from Test Equipment Connection, a Calibration Certificate is provided upon customer request only, usually at an additional cost. Please contact your Test Equipment Connection salesperson for all the details. While a calibration certificate such as the one described above is acceptable for some, this level of documentation does not supply detailed information such as actual measurement data or uncertainty calculations. To obtain this additional information and assurance that the calibration was performed by a competent trained metrology organization, you must request a Calibration Certificate With Data. In addition to the information found in a Calibration Certificate, a Calibration With Data certificate also includes the measurement data for all measurement modes and ranges supported by the device. You can request a Calibration With Data certificate when you purchase new, used or refurbished test equipment from Test Equipment Connection. In most all cases, a Calibration With Data certificate is a bit more expensive than a standard Calibration Certificate. Please contact your Test Equipment Connection salesperson for all the details.In all situations a Calibration Certificate or a Calibration With Data Certificate must be requested at the time of your order. This information is not available after the fact. Test Equipment Connection is pleased to announce we have calibration and repair capabilities to support our Asia operations in China and Hong Kong through a partnership with CEPREI. CEPREI is a Metrology Certification Body with unique legal status that is authorized and accredited by the Chinese national government and/or accreditation bodies home and abroad, to conduct third-party certification. CEPREI grew out of the Inspection Division of China Electronic Product Reliability and Environmental Research Institute (the Fifth Electronic Institute) and was established in 1956, the first scientific research organization at a national level engaged in product quality and reliability research in China. As early as 1979, CEPREI introduced the concept of Certification and Calibration into China. Ever since CEPREI has issued more than ten thousand certificates of various types to its clients. CEPREI operates in all administrative regions in mainland China and other countries including Hong Kong Special Administration Region, Taiwan, USA, Germany, Holland, Denmark, Australia, Japan, Korea, Malaysia, Thailand and Singapore. As one of the most authoritative accreditation bodies in the world, America National Standard Institute-Registrar Accreditation Board (ANAB) has authorized CEPREI Certification Body to issue ISO9000, ISO14000 and TL9000 certificates with the ANAB logo since 2001. To obtain a repair or calibration quote please contact Test Equipment Connection today.